Visit Providence’s Fabulous Youth Development Organizations! On the afternoon of Thursday, December 1, we invite intrepid Fall Forum guests to visit a few of Providence’s youth development organizations. Providence is known nationally for being home to forward-thinking community-based organizations that are partnering with our city’s young people as they pursue their passions. Please note: we are also talking with Community MusicWorks about a rehearsal open house. As soon as we have that information, we will share it. This is an open house event; feel free to drop by to look around, talk with students and staff, and learn more about some of the amazing ways young people are using their voices in our city. All organizations are in the city of Providence, and will welcome visitors between 3:00 and 5:00 pm on Thursday, December 1 unless otherwise noted. Please note that you’re responsible for your own transportation (we suggest walking, Uber, or cab). Many thanks to these organizations for their open doors and hospitality! College Visions empowers low-income and first-generation college-bound students to realize the promise of higher education by providing advising and resources to promote college enrollment, persistence, and graduation. College Visions advances equal access to educational opportunities in historically under-served communities. The College Access Program provides high school juniors and seniors with one-on-one advising, college knowledge workshops, college campus visits, family engagement, financial aid support, and more. College Visions also provides students who are enrolled in college ongoing support with advising and coaching, connections to campus support, financial aid renewal support, and more. College Visions is expanding its work through the CV Lab, which support educators and other adults to help first-generation students find college matches and success. Girls Rock! Rhode Island (GRRI) uses music creation and critical thinking to foster empowerment, collaborative relationships, and healthy identities in girls and women. Girls Rock! RI offers lessons, classes, afterschool programming, leadership training, instrument loan and rental, in-school and summer programming. GRRI’s intensive summer camps supports girls at all stages of musical ability to form working bands within a week. By championing the power of the youth voice, Girls Rock directly addresses the strengths of young women, while simultaneously speaking to their qualities as the leaders of tomorrow. Girls Rock favors action over words, envisioning a world in which gender and identity are assets, not limitations; where girls and women can actively name and claim their own strengths, expertise, and purpose in pursuing goals of their own accord; where girls feel encouraged, supported, and valued more for what they do than for how they look. New Urban Arts (NUA) is a community arts studio for high school students and emerging artists. NUA offers free, year-round out-of-school programs that promote sustained mentoring relationships between urban high school students and trained artist mentors who together engage in youth leadership, risk taking, collaboration, and self-directed learning. NUA is grounded in the belief that in order to fulfill the promise of our democracy, all young people, no matter their place in society, should have the opportunity to become more creative and independent thinkers. NUA’s programs encourage students to develop positive relationships with adult mentors and peers, acquire standards-based skills and knowledge in the arts, begin to develop their unique artistic voice, and graduate from high school on a path towards post-secondary success. NUA’s programs are offered free of charge and provide afterschool snacks, free bus passes, tutoring, and homework help. NUA also offers summer programs, workshops and institutes, publications, public events, and more. The Providence Student Union (PSU) develops youth leaders, staff, and adult allies to build student power. PSU builds student power within and across schools so young people can reshape their own education from the ground up. Students in PSU win education changes by participating in a student union structure that encourages them to take on leadership roles. Providence Student Union currently has chapters at six Providence high schools and is growing every day. 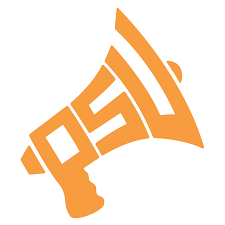 From citywide actions on transportation to specific campaigns in a single school to pressing city officials to try high-stakes testing for themselves, PSU is fueled by the creative organizing tactics of the city’s youth. PSU’s young people have worked tirelessly to ensure that all Providence students can have an equitable and powerful education. Most recently, students won ethnic studies courses in local high schools, ensuring that students’ diverse cultures have a place in the city’s history curriculum.